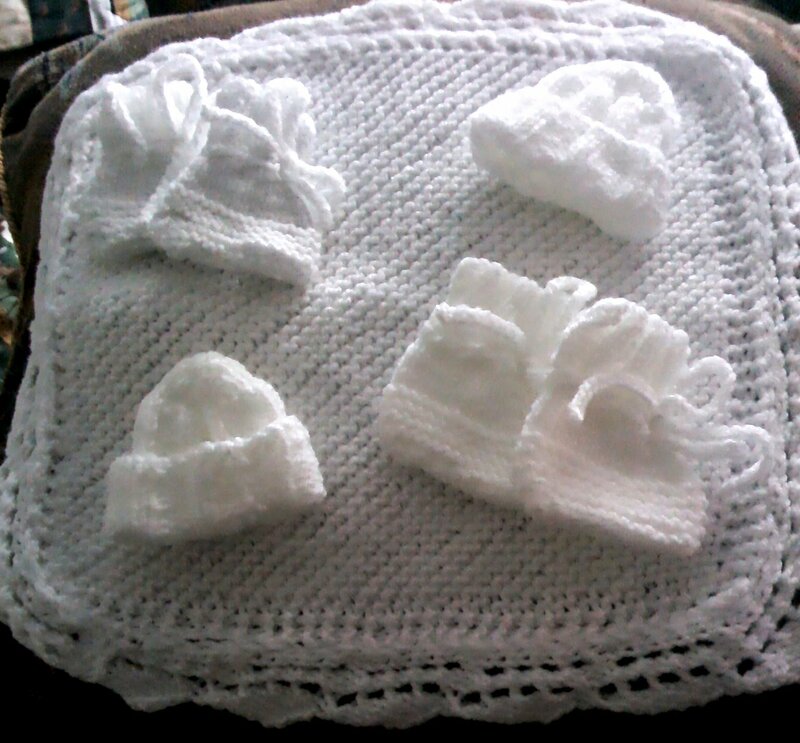 A tiny blanket for a Memory box and two sets of hats and booties sent off to Lovinghands. These items are tiny and hopefully will be used by someone who needs them. It is amazing at how much these things are so badly needed when all it takes is a few ounces of yarn and a little time. I will be making items for the Neonatal unit in my local Hospital as well. If each person who knits made one blanket the Neonatal units would always have a good supply all over the country. Very pretty items. I've just noticed your Kizoa slideshow. That's a new one on me and I'm going to take a look. Thanks.